Because we were getting together at Rian’s place to Super Bowl XLIX, we decided to record our latest episode before we gorged ourselves on beer and smoked pork. We also had to shuffle our recording schedule a little bit to accommodate for Rian’s Vasectomy, but we were happy to do so because now you all have nothing to worry about as Rian will never sow his seed in this world. 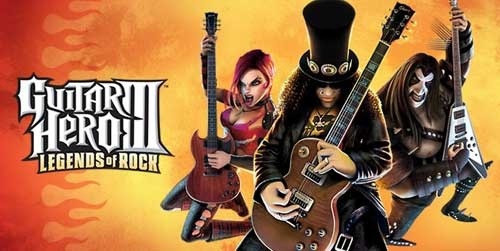 *insert applause here* Outside of all that nonsense, we discuss a brief history of music and rhythm games and eventually landed on the Guitar Hero/Rock Band bandwagon around 2005. We have all played or owned some type of guitar peripheral music game, but Rian loves, and still continues to play, the original Rock Band. We have other fond memories of the initial rhythm games, like Parappa the Rapper, but we totally missed the bus on the all of the arcade games that featured some type of music peripheral. Outside of music games and Rian not being able to procreate, we filled the void that we call a podcast with stories of Dirk almost going all ‘Merica all over a lost pool guy and how Rian FINALLY bought a gaming PC. We’re hoping that this could be the year of the PC, but we’ll find out. That’s pretty much all you get because Kickoff is in 30 minutes and I’m not spending any more time on this. We hope that you have picked your pony for the Super Bowl because we stopped caring as soon as the Bucks and Cards were out. Nestle up to your slightly deflated balls and enjoy Pointcast 42.1 of the Casual Cowards of Gaming. Next Post:Casual Cowards 43 – There are no Rules! !